Short-run Switch collectors are in for a busy year. 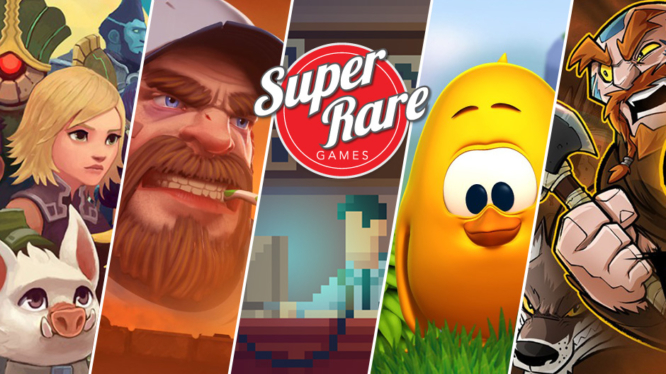 Super Rare Games has revealed not one, not two, not three, but six Nintendo Switch titles that they’ll be bringing to the physical realm! The upcoming short-run releases include: Earthlock, RIVE, Toki Tori & Toki Tori 2+ (bundle), The Darkside Detective, and Wulverblade. The chain of announcements, which were revealed through Super Rare Games’ twitter account, are all pegged as “coming soon” and will most likely be available to order at some point in 2019. No prices have been revealed just yet, but based on past SRG releases, fans can expect them to cost around $34.99 / £29.99 / €33.99. As always, the upcoming physical Switch releases will be available to purchase exclusively through the official SRG website – SuperRareGames.com. Released digitally for Nintendo Switch on March 8th 2018, Earthlock is 3D role-playing adventure title developed by Snowcastle Games. Heavily inspired by late 90’s RPGs, the game features strategic turn-based combat, six playable characters, item crafting, and a customisable “Talent Table” to adjust character skills and equipment. 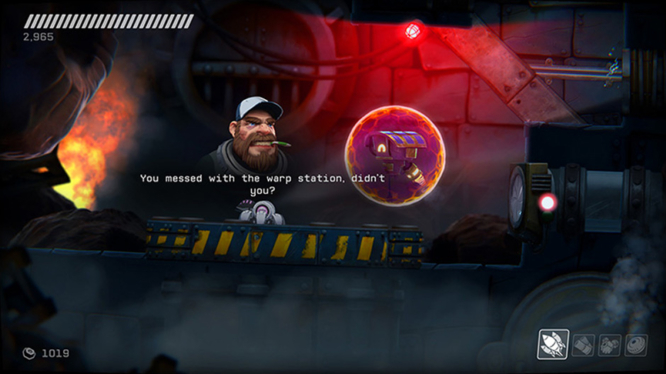 Pitched as a “metal wrecking, robot hacking shooter”, RIVE is 2D platforming shooter that supports up to 2 players. 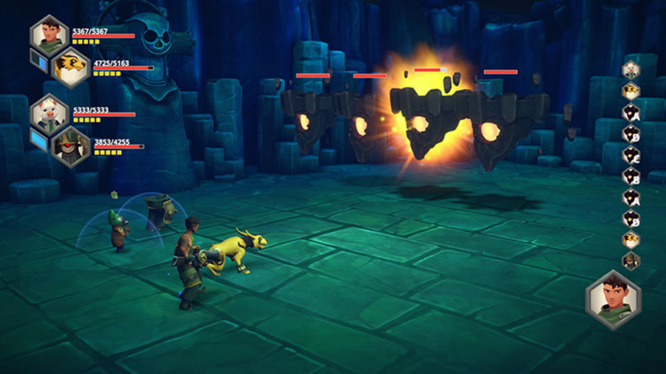 Equipped with a trusty spider tank that can fire in 360 degrees, players must blast their way through a variety of mechanical enemies and challenging environments to complete the given missions. RIVE’s Nintendo Switch port makes use of the console’s HD rumble and runs at a stable 60 frames per seconds. In addition to the main campaign, the game also features daily challenges, a speedrun mode, online leaderboards, and over 48 achievements. 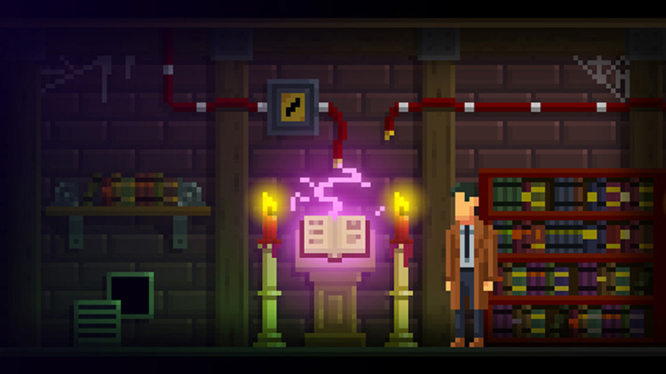 The Darkside Detective is a 2D ‘point and click’ puzzle game in which players take on the role of Detective Francis McQueen. Described as a humorous “micro-adventure game”, Darkside Detective features 6 different “spooky” cases for players to solve, music from Ben Prunty, at least three jokes, and “one free curse-removal”. Unlike the other titles announced by Super Rare Games, the upcoming physical release of Toki Tori will actually contain two games – Toki Tori and Toki Tori 2+ will both be bundled together on single Nintendo Switch cart. 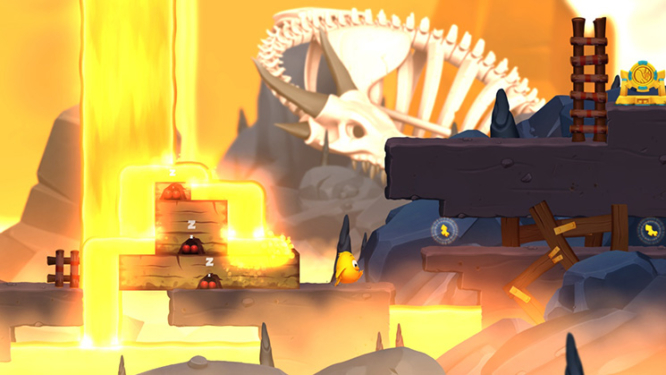 Offering its own unique spin on Metroidvanias, the Toki Tori titles are side-scrolling puzzle adventures packed with collectables and challenges to overcome. While the first title (Toki Tori) offers players a variety of items to help them progress, the sequel (Toki Tori 2+) changes the formula and challenges players to solve puzzles using only two moves. 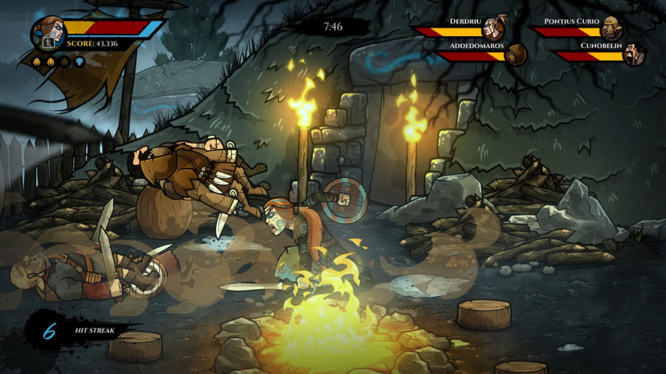 Wulverblade is a challenging side-scrolling beat-’em-up inspired by games of arcades past. Packing stunning 1080p cel-animated characters, cinematic scenes, and levels based on real-world locations, the game offers a modern twist on classic gameplay. Supporting up to 2 players in local co-op, Wulverblade features 8 different levels, a variety of combat arenas for players to test their skills, and an action-packed trip back to 120AD.